Jay Towers has been in broadcasting since 1989. He began his journey into radio at the age of 14 years old at WJRZ in Toms Rivers, New Jersey. When Jay turned 18, he landed his first full-time radio show in Atlantic City at WAYV & WBSS. Jay left the Jersey Shore shortly after his 20th birthday and became one of the youngest Program Directors in America at WVTI in Grand Rapids. One year later he helped launch 93.1 WDRQ in Detroit. In the summer of 1997, Jay was called back to the east coast to serve as Music Director and afternoon host at Q102 in Philadelphia. 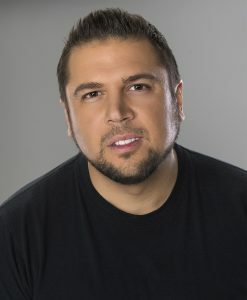 Jay felt a great attachment to the city of Detroit, and came back to 93.1 DRQ in 1999 to host “Jay Towers and the Morning Revolution” until 2005. Jay spent the next four years at 97-1 The Ticket hosting the “Jay & Bill” show before making 100.3 WNIC his final radio stop in 2010. Jay continues to host “Jay Towers in the Morning” on 100.3 WNIC every morning with Chelsea and Allyson. In 2004 Jay began his television career at WJBK in Detroit spending 10 years on Fox 2 News Weekend. In 2014 Jay was promoted to the weekday morning anchor of Fox 2 News Morning. In 2014 Jay started “Jay’s Juniors”. The goal was to make life a little bit better for children in Metro Detroit who suffer from chronic or terminal illnesses, by taking the entire family on an all-expenses-paid trip to Walt Disney World in Orlando, Florida. In December Jay will take his 5th trip to Walt Disney World with 20 families for Christmas. Jay hosts multiple charity events throughout the year between his radio and TV work including his annual spring Cereal Drive, raising more than 1 million servings of cereal for Metro-Detroit kids every year. An avid Superman fan, Jay’s love of the 1978 film ‘Superman The Movie’ caught the attention of Director Zack Snyder, when his Christopher Reeve inspired office was featured on Detroit television. Jay can be seen playing ‘himself’ as a Metropolis TV reporter in the 2016 film ‘Batman v Superman’ filmed in Detroit. Jay lives in Rochester Hills, Michigan with his girlfriend and 16-year-old daughter.